It has been more than a week and I apologize, there is never an excuse to miss a deadline. BTW – that’s a writing tip – don’t miss your deadlines. However, sometimes it’s unavoidable. For instance, the death of a loved one, which happened in my family, stopped our lives for the past several days. Our dog Rusty Roy, a Rhodesian-Pit Bull mix, had to be put down. He had cancerous tumor on his left shoulder. Unfortunately, it was against the shoulder under his muscle. 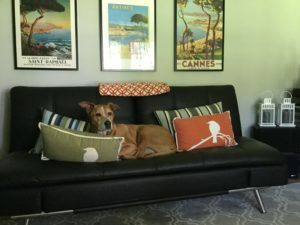 Since Rusty had already undergone two invasive cancer removal operations in his abdomen, the vet felt this tumor, the worst of the three occurrences, would not only be ineffective, but degrade Rusty’s quality of life in the time he had left. His last days were spent on his bed, comfortable and over fed with his favorite cookies. It was a difficult time for us. The vet, a lovely woman we’ve known for years, came by last week and ensured Rusty was comfortable throughout the entire process. We chose to keep him close to us in our backyard between the patio and our garden area so he will be surrounded by flowers and close to his family. The column this week is dedicated to Rusty. We miss him. Another writing tip is to double check your edits. 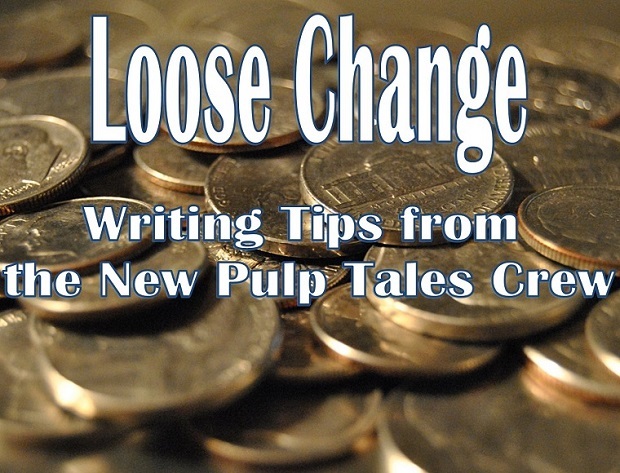 Loose Change 3 stated Loose Change 4 would discuss “The Great American Reading List” – which is wrong. It is “The Great American Read” list. 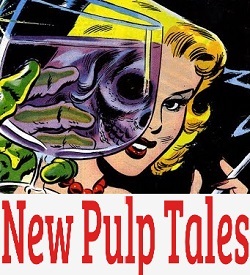 I thought I’d written that, so I went back over my submitted copy for edit and discovered that I had submitted it that way, but in the editing process the title had been changed. In the defense of the editor, the computer probably suggested it. And remember, if you get edits, a writer took time to help you. Be appreciative. So why do I have a problem with The Great American Read? Mainly, it’s how the list was marketed: America’s most-loved top 100 books. PBS states on their web page “Below is the list of America’s 100 most-loved books brought to you by The Great American Read” (1). Most-beloved books by who seems to be a good first question to ask. The initial list of books were chosen when “PBS and the producers worked with the public opinion polling service YouGov to conduct a demographically and statistically representative survey asking Americans to name their most-loved novel. Approximately 7,200 people participated” (2). Link Here. It means that PBS contracted a survey site that pays people to take their survey. There are two things wrong with this. First, it belies the idea that survey takers were driven by their love of reading. There is no way to know. Second, only 7,200 people participated. How many of those who voted did so for the accumulation of points in order to collect a fee? To solve both problems, why didn’t PBS ask libraries to query their data of the top 100 checked out books in fiction? How many millions of library card holders exist? Or ask the publishing industry what are the top selling non-religious fiction books of all times? Who knows if this would have made a difference in the list results, but it seems like PBS took the easy way out and skewed the results in the process. The question is why. Gerald Maa, Editor-in-Chief, The Asian American Literary Review. These thirteen people selected 100 books from the 7200 votes cast in the YouGov survey PBS contracted. PBS opened voting to the public, culminating in the results now posted on their website. The PBS voting rules are listed on their website here (4). Even though it seems like an impressive list of credentialed personnel to me, I have to ask – where are the industry professionals from the publishing houses, distributors, and besides Aaron Curtis, the book stores? Where is the data from libraries across America? I’m not questioning the “list people” or their smarts, insider knowledge, or contacts, just PBS’s decision not to have a definitive list of what “the buying public” decided are the top sellers. Therein is the answer to my question above on why PBS took the easy way out and why I have a problem with how they presented their list: this is not a list of America’s most-loved books—it can’t be—America only voted on the ranking of the 100 books already chosen by the list of thirteen “literary industry professionals” selected by PBS. Other lists abound on the internet of the top 100 books, by sales, money earned, and yes, love, and they are different than the one given by PBS. No, PBS had an agenda with The Great American Read. And I agree with it. I agree with PBS, along with the Anne Ray Foundation and many others that reading is fundamental. PBS presented a show to excite children and adults about that subject. They interviewed authors, used culturally relevant personnel to give their stories, all with the idea of exciting kids to read. That’s great stuff. I just wish PBS had attempted a more honest effort to promote their preferred reading list.